CNN's David Daniel joins us to take about the whole Sony/The Interview/North Korea thing, the latest inductions into the National Film Registry, and some of the holiday movies popping up soon. Also Momo's Hawaiian Shaved Ice, a white lady raps, flu shots, and the rest. Show Beer was Brown Shugga by Lagunitas. CNN guy from L.A. David Daniel joins us to talk about the Grammy nominations, his two press junkets this weekend with Ethan Hawke and Julianne Moore, and he updates us on the box office. 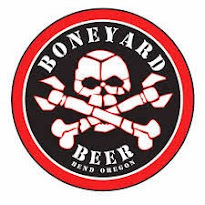 And gross corpse stuff, our Bend elders are brewing beer, our friend Tom Sutton has been profiled by the mall, a recap of this year's Holiday Ale Festival, a PAC-12 wrap up, Vietnamese tacos, a new killer website, did Jerry jump the shark, and more. Show Beer was actually Show Cider with Schilling's Oak Aged Cider. With Jenny chasing Pearl Jam across the country and Marcus drinking it up in Austin, we had our friends Pete and Angel sit in with Sean to talk about the Pope's guide to easy living as well as the creative process. Then CNN's David Daniel joins us for a box office wrap up. It was pretty sweet. 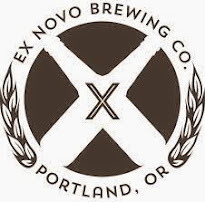 Show Beer was Ex Novo's Damon Stoutamire. Our old friends Lisa & Todd join us for laughs, stories, and laughs. Todd has Cat. Lisa has book stuff. It's all good. And Beer! Foo Fighters are awesome, Clowns go after American Horror Story, Colorado has a Halloweed issue, Spiders go under the skin, and the Great Pumpkin Riots. Show Beer was Oakshire's 2013 Barleywine. CNN's David Daniel joins us for box office updates, Lady Ghostbusters, and does HIPAA count with famous people. Foo Fighters get a weeklong residency, was Louis CK high, Walking Dead changes their story, Rock N Roll Hall of Fame announcement, clowns scaring the Hell out of a town, commercial costs, delicious pork jerky, American Horror Story, and stuff. Show Beer was Breakside's Fresh Hopped Equinox. CNN Awesome Specialist David Daniel joins us for some box office updates, George Clooney updates, and filling us in on the upcoming new fall TV season. Also... Bill & Ted 3, health benefits of beer (duh! ), Rob Schneider is an Anti-Vaxxer, PETA's solution for a cannibal, AC/DC goes down a man, and recap of a fun night. Show Beer was Fresh Hopped Pallet Jack from Barley Browns (and it was magic). It's just old Jenny and Sean, with a sprinkle of Marcus. No guest. No David Daniel. Just talking about KISS does good, old and new music, a wedding brawl, an alcohol quiz, the new Don Pardo, Scotland, Oregon Music Hall of Fame, is Jack White being a jerk, is weed good for local economy, and Pabst goes Russian. Show Beer was Pine Drops IPA from Deschutes Brewery. CNN Entertainment Senior Producer, and good friend, David Daniel joins us to talk about solar power, the current box office, and goes rounds with us in another draft where we create our all-star action hero teams. Can you create a better team? Jenny covers her beer explorations from yesterday on the Washington side of the bridge, Sean and Marcus cover theirs from the Oregon side of things, Rock N Roll tells Gene Simmons he's wrong, another Portland landmark bites the dust, the threat of Top Gun 2, a threat to beer lovers everywhere, sleepy burglars, hooray for an old couple, and a lot more. Show Beer was Even Keel from Ballast Point. Another even numbered show means our good buddy David Daniel from CNN joins us for a chat about how awesome Guardians of the Galaxy is, Emmy results, and a great discussion on ensemble movies that launched careers. COPS loses a crew member from friendly fire, Martin Scorsese is bringing the Ramones back, Zach and Louis doing something cool, and Rivers Cuomo has something up his sleeve. 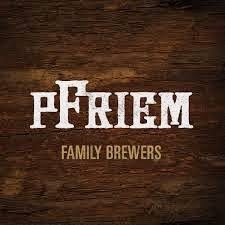 Show Beer was Pfriem's Double IPA. A big thanks to David Daniel and you for your support. We're joined by national arm wrestling champion Josh McEllrath to talk about his rise to the top, the ins and outs of arm wrestling, and his upcoming journey to the world championships. You can help send him to the championships by donating here. A baby Grohl, Meg Cougar Ryancamp end it, Who are the wealthiest bass players, The Butcher Baker is dead, Bill Murray Day, A homeowners nightmare, and a possible solution to ending the Westboro jerks. 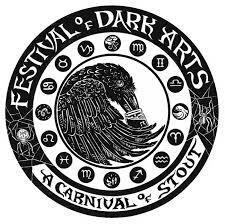 Show Beer was an French Oak Bourbon Stout brewed by Marcus and Sean over a year ago. A special thanks to Josh, Mainbrew/ABV Public House, Oregon Public House, and all of you. CNN's David Daniel joins us to talk Box Office, Media and Ferguson, Lauren Bacall, the Ice Bucket Challenge for ALS, and the great Robin Williams. We also cover apologies for last week, Hollywood meets reality with NWA, which country is drinking what, a world with Craig Ferguson, and we finally got an air conditioner in the studio thanks to Marcus. Show Beer was 10 Barrel Brewing's Swill Radler. 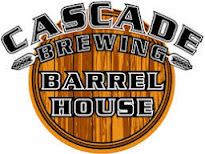 A big thanks to David Daniel, Marcus, Carmella, Mainbrew/ABV Public House, Oregon Public House, and your ongoing support. Nat West from Reverend Nat's Hard Cider joins us to talk about the recent wave of Cider love and how it all fits in with Oregon's love of beverages. 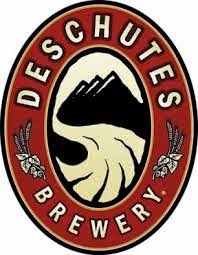 Lowe's employees do good for a Vet, how not to kill a spider in the house, a 9 year old boy marries a 62 year old woman, cat poop may be the next farts when it comes to cancer, the great donut caper of Hillsboro, door to door Jesus, and a wrap up of the Oregon Brewer's Festival. Show Beer was Oakshire's Oude Bes Flanders Red Strawberry Balsamic. Pre-Show Beer was Stone's Woot Stout 2.0. A big thanks to Nat West, Mainbrew, Oregon Public House, ABV Tap House, and all of you who listen. It was the perfect storm. Take one part Matt & Michelle Lattanzi (Google it) and one part CNN's David Daniel, and you get Hurricane IOD. It was beautifully chaotic and somehow all came together. Matt shares some of his crazy history in the limelight and David gives us box office results, as well as a discussion on the Emmy nominations. 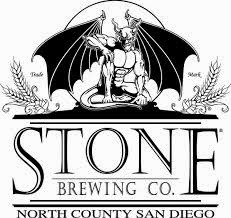 Seeweed Beer, Stone Brewing is making a big move, Weird Al owned the week, The Battered Bastards of Baseball, and just a bunch of crazy talk. 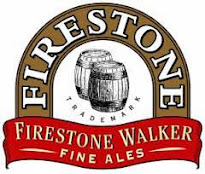 Show Beer was Double Jack from Firestone Walker. Pre-Show Beer was Unapologetic IPA from Stone Brewing. A big thanks to Matt and Michelle Lattanzi, David Daniel, Mainbrew/ABV Tap House, and Oregon Public House. 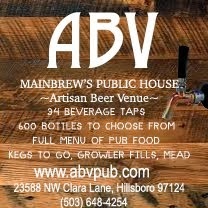 Go support our friends and sponsors at Mainbrew Home Brew Supply (www.mainbrew.com), ABV Public House (www.abvpub.com), as well as Oregon Public House (www.oregonpublichouse.com). Tell them In One Day Radio sent you. 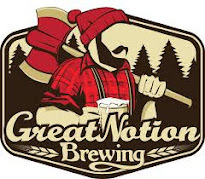 If you've ever noticed, we've had some pretty amazing guests from Portland's beer scene. This wouldn't have happened without some help. Oregon Beer Growler Magazine called her "Oregon's Beer Sweetheart", and she is all that and more. We were fortunate enough to sit down with Chris Crabb today to talk beer, family, and share a few laughs. 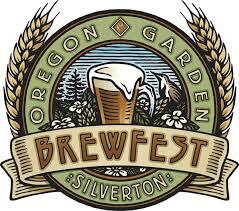 She also takes behind the scenes of the upcoming Oregon Brewer's Fest. Pot goes live in Washington, Yellowstone road is melting, Leave our Grand Canyon alone, Don't mess with bulls, Farts cure cancer, Welcome to Sweden is perty good, and go support the Portland AIDS Walk. 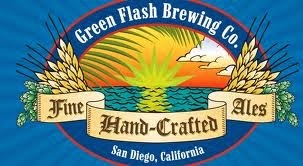 Show Beer was Green Flash's Imperial IPA. Pre-Show Beer was Hair of the Dog's Adam. A great big thanks to Chris Crabb, Mainbrew, Oregon Public House, ABV Taphouse, and all your support. CNN's David Daniel joins us to tell us about his family trip to Yosemite, a box office update, and then we do another one of our, now legendary, drafts of the most quotable movies in box office history. Did we miss anything? Potato Salad gets a kickstarter, Joey Chestnut gets engaged and then eats 61 hotdogs, Juan de los Muertos, Sean got food poisoning, and our highly recommended array of bits. 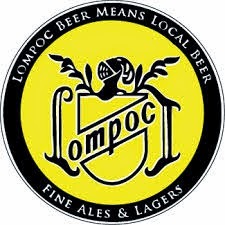 Show Beer was Lompoc's BBA Dark Side Porter. Pre-Show Beer was Almanac's BBA Sour Porter. A hefty thanks to David Daniel, Marcus, Mainbrew/ABV Tap House, Oregon Public House, and you and your choice to give us the time of day. CNN's David Daniel and his daughter Sarah join us as she reviews How To Train Your Dragon 2 and Earth To Echo. If you thought David had a flair for film, wait till you hear Sarah. Our friend Gayle sits in with us, Chelsea Handler makes a move, Jack White breaks a record, Foo Fighters step up, Better Call Saul is in the works, Velveeta is probably bad for you, AC/DC won't leave, Louie and Fargo are setting TV standards, and Jenny and Sean go toe to toe with Pearl Jam and Wilco. Show Beer was Mokah from Southern Tier. Pre-Show Beer was Wingman's Ace IPA. 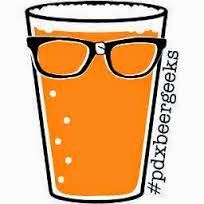 A big thanks to David Daniel and Sarah, Gayle, Mainbrew, ABV Tap House, Oregon Public House, and all of you for listening. 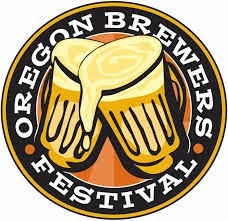 North American Oregon Brewer's Festival. Evil Twin's Imperial Doughnut Break. CNN's David Daniel joins us for an update on Tracy Morgan, Box Office results, and then the three of us go draft style to select the best sitcoms in history for our make believe networks. It's definitely worth some laughs and shakes up some old television memories. Show Beer was Rogue's Honey Kolsch. Pre-Show Beer was the 3 Way IPA from Fort George/Boneyard/Block 15. A big thanks to David Daniel, Mainbrew/ABV Public House, and Oregon Public House. 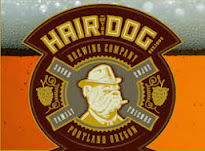 Go support our friends and sponsors at www.mainbrew.com and www.abvpub.com, as well as Oregon Public House at www.oregonpublichouse.com. After Sean's return from vacation, the IODR gang take a little day trip to Hood River. We come back home and have the pleasure of talking with Full Sail Brewing's CEO/Co-Founder Irene Firmat and Executive Brewmaster Jamie Emmerson. 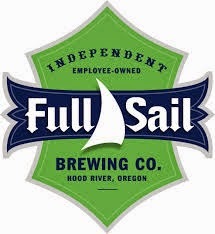 We talk about the history, evolution, and community that has made Full Sail one of the most popular craft breweries in the State of Oregon, and beyond. A weird new trend in coffee drinking, our friend Matt Cluthe has a great gig coming up, the return of St. Cupcake, and a review of some upcoming summary concerts. Show Beer was Anderson Valley's Bourbon Aged Boont Amber. Pre-Show Beer was Hopworks Pigwar White IPA. A big thanks to Irene and Jamie from Full Sail Brewing, the entire gang from our trip to Hood River, Mainbrew/ABV Public House, and Oregon Public House. Paul Stanley will create a mob scene in Portland, and stuff. 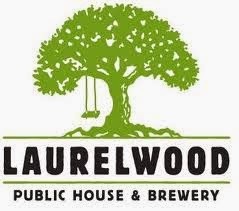 Public House, and you for listening. Our old friend Matt Cluthe sits in with us for laughs, beers, and even plays us a couple of songs. And all the glory of Hotels and Motels. Show Beer was Widmer's 1984 Altbier. Pre-Show Beer was Stone's Russian Imperial Stout. A big thanks to Matt Cluthe, Marcus, Mainbrew/ABV Tap House, Oregon Public House, and all you guys. and Portland is about to receive a Bend transplant. Mikkeller's collar with Anchorage Brewing, BreAKfast Stout. A huge thanks to Lisa, Mainbrew/ABV Tap House, David Daniel, and YOU!